Mr. Warren is the Chief Executive Office and founder of Delta Alliance Capital Management, LLC. Mr. Warren is also the President of Investor Property Services (IPS), a 30 year old property management firm based in Orange County California. Through IPS, Warren has personally supervised a multi-million dollar property portfolio including such diversified assets as multifamily, office complex, shopping center, condominium association, medical office, assisted living and hotel/motel businesses with an emphasis on non-performing assets owned or controlled by financial institutions, state court receiverships, and bankruptcy court authorities. Warren has acted a superior court receiver for income property in a variety of states and possesses a proven ability to analyze, operate and turnaround underperforming assets. Mr. Warren is a Certified Property Manager (CPM®) through the prominent and renowned industry organization, the Institute of Real Estate Management. Warren has taught property management at California State Polytechnic University was the 2005 co-chair of the Los Angeles/Orange County chapter of the California Receiver’s Forum and is the 2003 past president of the Institute of Real Estate Management Orange County Chapter #91. Mr. Warren holds a BA in Economics and a Master’s in Business Administration. 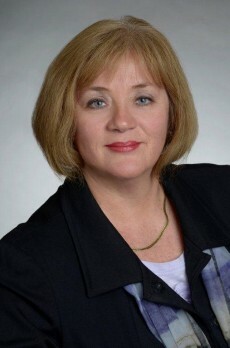 Dawn Coulson as counsel to the firm is a partner in the law firm of Epps & Coulson, LLP. She heads the firm’s Litigation and Bankruptcy practice Group. Ms. Coulson has a broad base of experience in complex commercial, corporate and business transaction litigation. Ms. Coulson and her team represent financial institutions and other large and small businesses, focusing her practice in the areas of business dispute litigation, commercial litigation, real estate litigation, real estate foreclosures, creditors rights bankruptcy matters, pre-judgment remedies and receiverships, loan workouts and employment counseling and employer side litigation. Ms. Coulson lectures on these issues and on effective judgment collection. During her years of practice, she has developed an extensive background and expertise in real estate, real estate foreclosures and litigation, banking, commercial and secured transactions and debtor-creditor representation. Ms. Coulson represents real estate owners, landlords, lenders/lien holders and court appointed receivers. Ms. Coulson has been selected as one of Southern California’s Super Lawyers from 2008 through 2012 and was awarded a Southern California Real Estate Women of Influence honoree 2009-1010. She is also a licensed real estate broker. Copyright © 2019 Delta Alliance Capital Management, LLC. All rights reserved.